Window Web Hosting Review 2019: Is Window Web Hosting a Good Hosting? Window Web Hosting offers low-cost Windows and Linux hosting packages that allow as many as 20 websites to be hosted at a time. Webmasters looking to run a network of small websites will find a home here, but owners of medium to large websites will need to go elsewhere. Window Web Hosting is an India-based web hosting company offering Windows and Linux hosting since 2003. It serves thousands of clients from co-located servers housed in six data centers across Dallas and Houston. Support is provided in English. 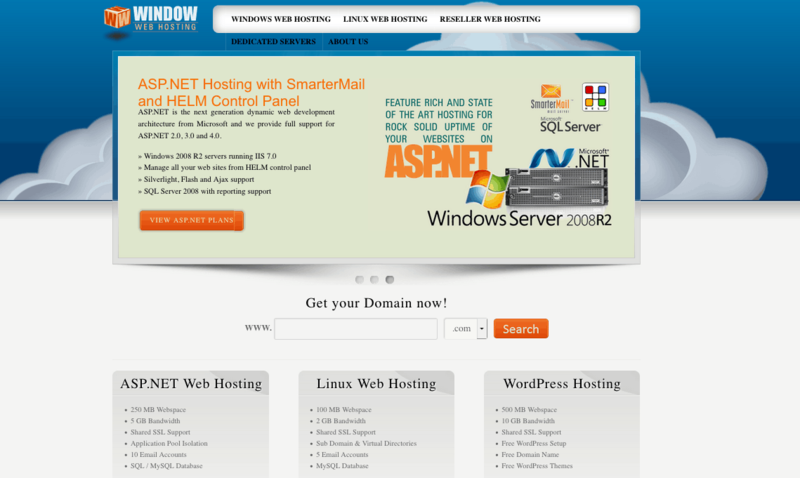 Window Web Hosting offers Linux and Windows-based shared hosting packages. FTP access, MySQL, and MSSQL are available. Unfortunately, there’s no mention of an uptime guarantee. Entry-level plans offer just 100MB of disk space and no MySQL databases — little to no value for beginning webmasters who can get just as much with basic CMS packages. Middle-tier plans are a little more attractive, but not by much. Storage is still too low overall for most medium-sized and all large websites, but it is at least high enough to take advantage of hosting multiple small websites. The inclusion of a MySQL database with these plans also adds some value in terms of website speeds. The higher-tier plans are a mixed bag. They offer low storage caps relative to the competition (500MB-2GB), but the number of 100MB MySQL databases per plan (two to three) means website speeds should be good. The business hosting plans, which can host five to 20 websites with just 10-40GB of bandwidth, show both the strength and weakness of these plans — too small for any single large website, but decent enough for webmasters looking to run a network of smaller ones. Beginning webmasters looking to build a small network of websites will find the price-to-value ratio here decent. However, the entry-level storage capacities are so small that beginning webmasters hosting a single website can’t justify paying for them — they will get more from an entry-level CMS plan. It’s a similar story for mid-tier and higher-tier pricing. The disk space cap is simply far too low to justify the cost. The sole exception would be for webmasters running a large network of smaller websites with low to medium traffic volumes. Overall, this means there’s a very small audience of webmasters who will find Window Web Hosting advantageous. Beginning webmasters running a single website don’t get anything new, and advanced ones don’t get enough power for their needs. High-traffic blogs with low storage needs may find a home here performance-wise, but can do better elsewhere from a price perspective. Webmasters looking for a cheaper-than-average way to run many small-traffic websites will get the most value here. Support options are poor. I called the phone number listed and found it was out of service. 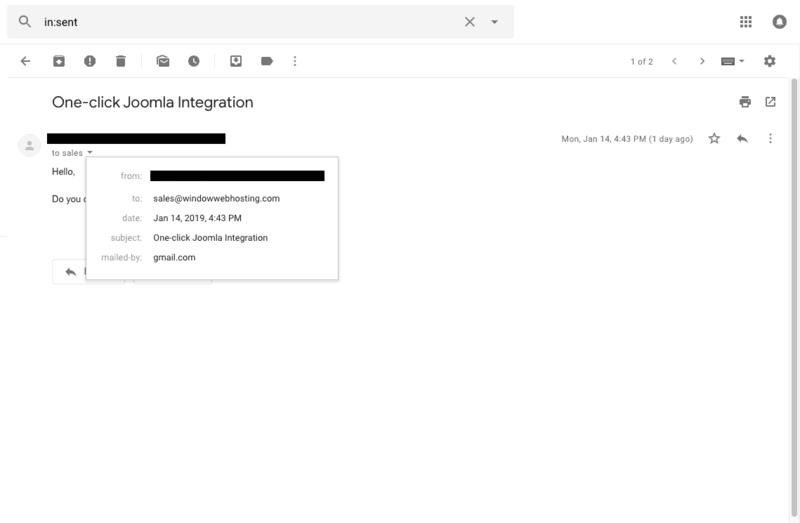 As you can see below, I also sent an email which went unanswered even after 24 hours. A live chat option is presented on the menu bar, but clicking through leads to a ticket support page. There is no self-help knowledge base available. Window Web Hosting offers servers in the U.S. for a decent price. However, the balance between speed and capacity is not great, and the lack of MySQL support beyond version 5 for VPS plans is troubling. Overall, beginning and mid-sized websites can give this provider a look, but larger websites should go elsewhere. Wondering how Window Web Hosting stacks up against other Web Hosting companies? Enter any other Web Hosting company and we will give you a side-by-side comparison.